In my humble opinion, Joseph Campbell (1904-1987) was one of the most important and influential writers of the 20th century. While there are many scholars who specialize in one religion or mythology, Campbell was really the first person to unify them and realized they shared something in common: they were all variations of one great story, the monomyth (a term he borrowed from Joyce’s Finnegans Wake – a story you should not read without a full vial of Advil beside you). 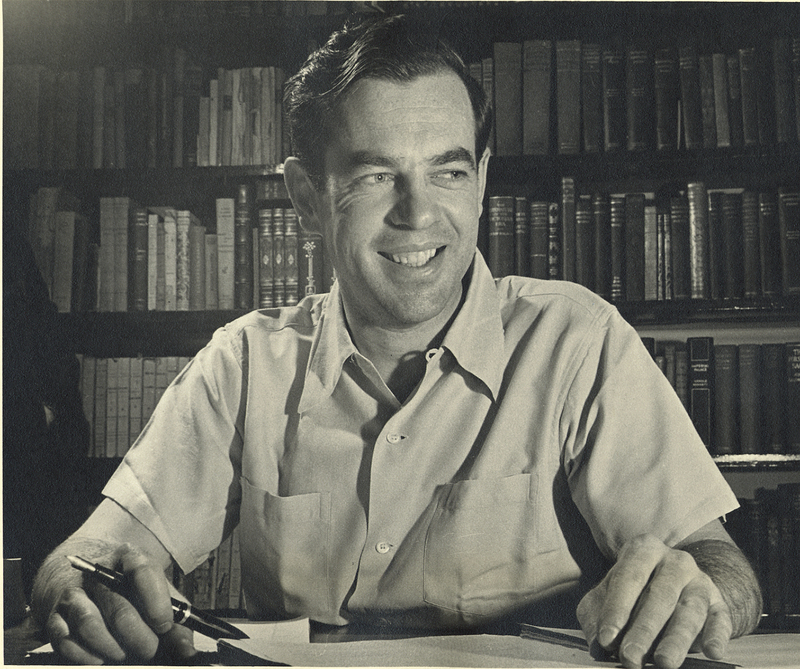 Joseph Campbell was serious about his reading and his research. I mean, we’re talking about a guy who, from 1929-34, as the Great Depression began ravaging the world, moved to the middle of buttf*** nowhere and spent nine hours a day reading. Imagine how many books you could get through in five years reading at that pace. Epic. In 1939, Campbell would draw on all of his studies and his vast knowledge of the world when he published The Hero with a Thousand Faces, the book that would not only serve as his coming out party, but what is widely regarded today as his magnum opus. To put it in perspective, this book would not only have immediate and significant academic influence, but it would go on to form the impetus behind now-legendary cultural markers such as Star Wars, Indiana Jones and The Matrix. Luke Skywalker, in fact, was a direct archetype of the very hero Campbell wrote about in that book, and George Lucas has repeatedly credited Campbell’s “hero” for creating a movie character now known the world over. I came to this idea of bliss because in Sanskrit, which is the great spiritual language of the world, there are three terms that represent the brink, the jumping-off place to the ocean of transcendence: Sat-Chit-Ananda. The word “Sat” means being. “Chit” means consciousness. “Ananda” means bliss or rapture. I thought, “I don’t know whether my consciousness is proper consciousness or not; I don’t know whether what I know of my being is my proper being or not; but I do know where my rapture is. So let me hang on to rapture, and that will bring me both my consciousness and my being.” I think it worked. Joseph Campbell was prolific in his lifetime, but if you want his genius condensed into one sweet package, go and get The Power of Myth. It’s a book published the year after his death, an audio book series and a television PBS series with Bill Moyers. Watch it, listen to it, read it. You will walk away a better person for having done so. Guaranteed.